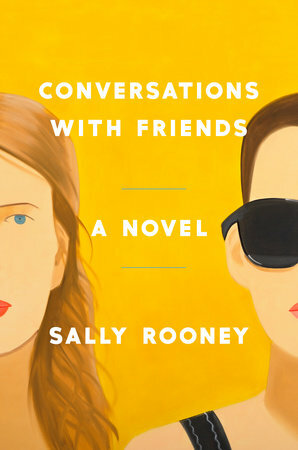 Sally Rooney’s debut novel explores the destructive nature of love and the debilitating desire to be accepted by the accomplished within creative circles. The main protagonist of the story is Frances, a 21-year-old student in Trinity College, of whom would very much reel at the notion of being considered the protagonist of anything, let alone her own story. Frances’ character is intrinsically linked with that of her best friend, Bobbi. From being girlfriends in secondary school to attending the same college, the two are inseparable and spend their summer holidays performing a duo act of spoken poetry. The conversations between the two girls reflects that of the poetry they perform. They view it as a performance whereby they intuitively question everything in a philosophical manner and bounce off each other in their wild, anti-establishment statements. “What is a friend? we would say humorously. What is a conversation?”. Their total aura of anti-establishment, pseudo-intellect serves them well in the formation of friendships with older, well-established creatives within their circle. The two girls find themselves becoming more and more engulfed by the world of Dublin’s upper-class community, forming a close friendship with Melissa, a photographer and essayist, and Nick, her husband and a famous actor. To the reader, Frances’ character seems to be almost a secondary player in her own life as she allows Bobbi’s dominating personality to influence what she does and the type of people she associates with. It appears as though the two characters are playing a game of “grown ups” as they become closer to Melissa and Nick and become pawns in the couple’s unhappy marriage. Rooney sets the novel in post-Celtic Tiger Ireland. Frances lives a comfortable existence, with the realities of financial pressure not quite hitting until the end of the novel, and the majority of the other characters embody the elitism that tends to exist once you cross the Liffey, onto the south-side of Dublin. A friendship, that airs on the side of mutual infatuation, begins to form between Bobbi and Melissa leaving Frances and Nick unlovingly thrown to the side and drawn further towards each other in the process. The novel is engulfed in irony as Frances and Bobbi denounce the capitalist regimes they live under yet continue to live their relatively privileged existences. Frances finds herself falling into an affair with Nick that leaves them both questioning everything they stand for. “Nothing could be more bourgeois than an affair, or more banal than being the other woman, as Frances is all too aware” said Alexandra Schwartz in The New Yorker. Frances’ claim to be “anti-emotion” highlights her own desire to be labelled and put in boxes. It appears to the reader that she doesn’t really know who she is yet and her debilitating desire to be labelled serves only to hold her back from experiences in life and to choose the wrong path. Her saving grace is her ability to communicate her emotions through art. She is an incredibly talented writer, and a character that we can only imagine is reflective of Rooney herself.